If you are contemplating a move this year, you have picked the perfect time. Interest rates are very low again, and there is more inventory coming on the market than in years past. In the latest statistics from January, inventory levels are up 17% year-over-year. That is a good sign given that most buyers have not had a lot of choices over the past couple of years, relative to historical inventory levels. That said, demand is high and we are seeing multiple offers on most properties that are priced right. It is Critical that you are positioned properly to ensure your success whether you are buying your first home or making a move from one home to another. How do you do that? You become a Family Mortgage Certified Homebuyer. We talk about this a lot because it works very well. We fully underwrite your file upfront before you ever go to make an offer. 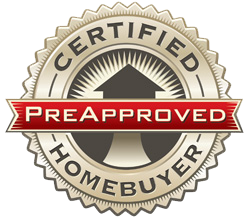 When you make an offer utilizing our Certified Homebuyer Certificate, we offer the Seller a $5000 Guarantee. The Guarantee says that if they accept your offer utilizing our Certificate and for whatever reason, Family Mortgage cannot close the loan, we will compensate the Seller $5000 for their trouble. We are the only lender that I am aware of in Atlanta, that offers this. If you are the Seller, whose offer would you accept; one that has been fully underwritten with a $5000 Guarantee or one that has not been underwritten and is just prequalified? Don’t be just another buyer with a piece of paper; show the seller your lender did its job. We have multiple success stories, this spring alone, where we had our buyers Certified and they secured the house they deeply desired. We can close your loan much quicker and stress free. Learn more about all the advantages at www.familyga.com/certified-homebuyer.